At National Fire Protection, our fire hydrant inspection process is designed to ensure that your building's fire hydrant meets all proper codes. We start by opening your fire hydrant fully and letting it flow for at least a full minute. This clears all foreign material out of the fire hydrant and lets it run as smoothly as possible. After stopping the flow we observe the fire hydrant and make sure it drains properly. Finally, we lubricate all fire hydrant stems, threads and caps to make sure they are in proper operating condition and will be easily accessible to the fire department. Because of the dynamics of water, there are a number of things that must be taken into consideration when testing out a fire hydrant. Water hammer is caused by an abrupt stop of fast moving water. It usually occurs if a valve is shut down too quickly. The effect of fast moving water slamming into a valve is the same as the effect of a fast moving car slamming against a brick wall. Since water is incompressible, it does not absorb any of the energy from a high velocity impact – instead, it transfers it to the system, pipes, hydrants and ground, which can lead to cracking and all out destruction of the fire hydrant. 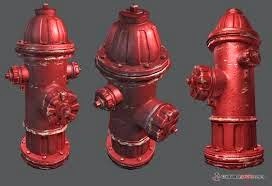 At National Fire Protection, we take care to keep your fire hydrants safe from water damage during inspection. Brown water is caused by a sudden change in the amount of water in a water main, such as the increased water flow from opening a fire hydrant. When water starts flowing faster, it kicks up sediment that usually stays on the bottom of the pipes and moves it with the water. There is nothing harmful about the sediment in water pipes, and at National Fire Protection, we work hard to keep the brown water out of your faucets during our fire hydrant inspections. What is a “School Safety Assessment”? What is a Chief Security Officer?